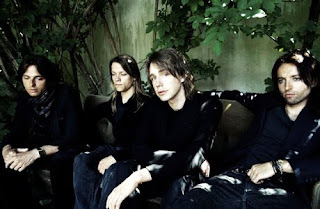 Mew - Comforting Sounds | "SONG LYRICS"
Lyric "Mew - Comforting Sounds"
in spite of these comforting sounds you make. because you make promises that you break. why don’t we share our solitude? Nothing is pure anymore but solitude. feels as if I’m sensing you through a lens. I’ll just sit here listening to the drums. Previously I never called it solitude. And probably you know all the dirty shows I’ve put on. Blunted and exhausted like anyone. Honestly I tried to avoid it. Honestly. Back when we were kids, we would always know when to stop. And now all the good kids are messing up. Nobody has gained or accomplished anything. 0 Response to "Mew - Comforting Sounds"